This Friday will be the 118th International Women’s Day. So, a very good time to reflect on our female inspirations. This is a day which gives women, in particular, in any industry, the opportunity to draw on inspiration from women who came before them, and to celebrate their achievements. As someone who graduated with a joint degree, one subject of which was history, it’s only natural for me to look back in history for that inspiration in the face of adversity. After all, you look to history to avoid the mistakes of the past, don’t you? A favourite story of mine which I feel embraces the struggle of women in a male-dominated world is that of Eileen Younghusband. This isn’t a story which has been told all that well, or at all, but one which we can all probably relate to in one way or another. You hear of heroic men from the Second World War, and quite rightly too, but rarely do you hear about the heroic women. 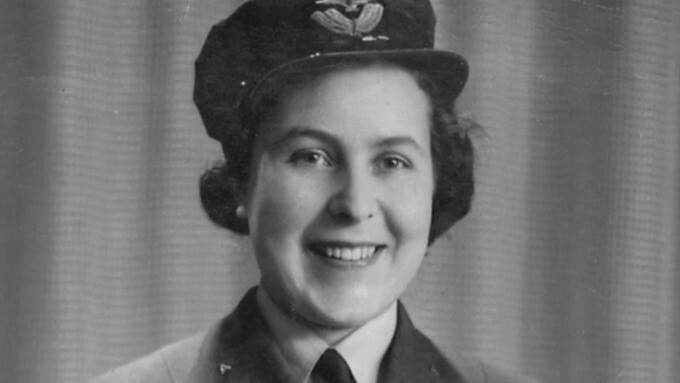 As a late teen, Eileen Younghusband volunteered to serve in the WAAF and was trained as a plotter to work in Fighter Command’s operations rooms at Bletchley Park. While Eileen was there, the V2 (‘Vengeance 2’) ballistic missile, the second of Hitler’s ‘terror weapons’, was being launched against London and also Antwerp, a pivotal port in the Allies’ bid to win the war. The V2 could be launched almost anywhere from specially adapted lorries which made it mobile and difficult to detect. The launchers could be moved quickly after launch. Back then they couldn’t intercept them once it was in the air so it was a case of either destroying the missile pre-launch or destroy the launcher. The threat from the V2 was very real and in December 1944, Eileen Younghusband and a number of her Women’s Auxiliary Air Force (WAAF) colleagues travelled to Belgium to join a team trying to identify the launch points of the missile. Their superior knowledge of mathematics was the turning point. Eileen and her colleagues were remarkable women, their mathematics skills no doubt saved countless lives and ensured the war ended when it did and no later. The world has thankfully progressed since the days of the Second World War but let’s not kid ourselves, inequality in society still exists. Nowadays we all have a role to play as we strive for equality for everyone. Talent is talent, and should be celebrated and recognised no matter what form it comes in - whether you are a specific gender, belong to a certain race or religion etc. We should encourage each other to strive to become the best possible versions of themselves. In the public relations industry, we have a duty to work together, free of prejudice to invest in and encourage each and every one of our colleagues to be the best that they can be. Maybe this day is a good opportunity for everyone to pause for reflection – rarely do we stop in our busy lives - to find their source of inspiration.